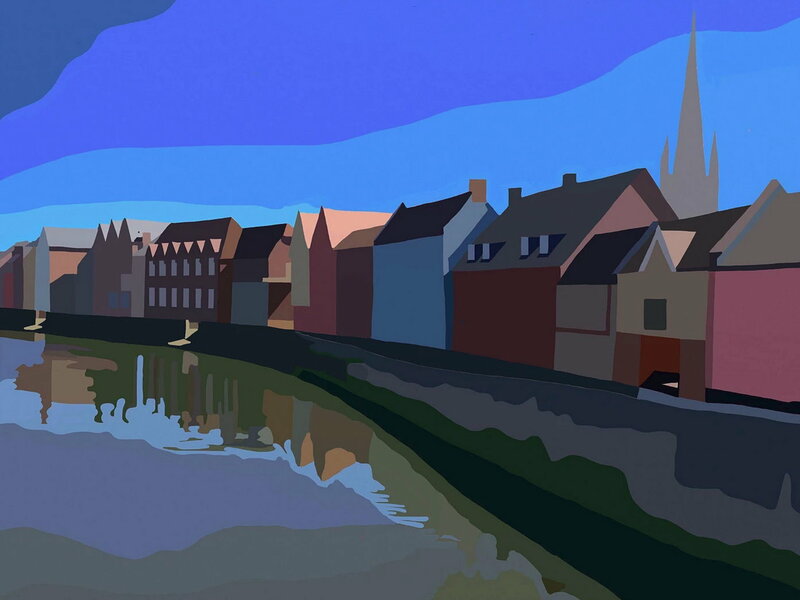 Artist, Ken Hurst FRSA, shows some of his digital artworks at the Maddermarket Theatre Gallery, Norwich from 4 April-5 May. 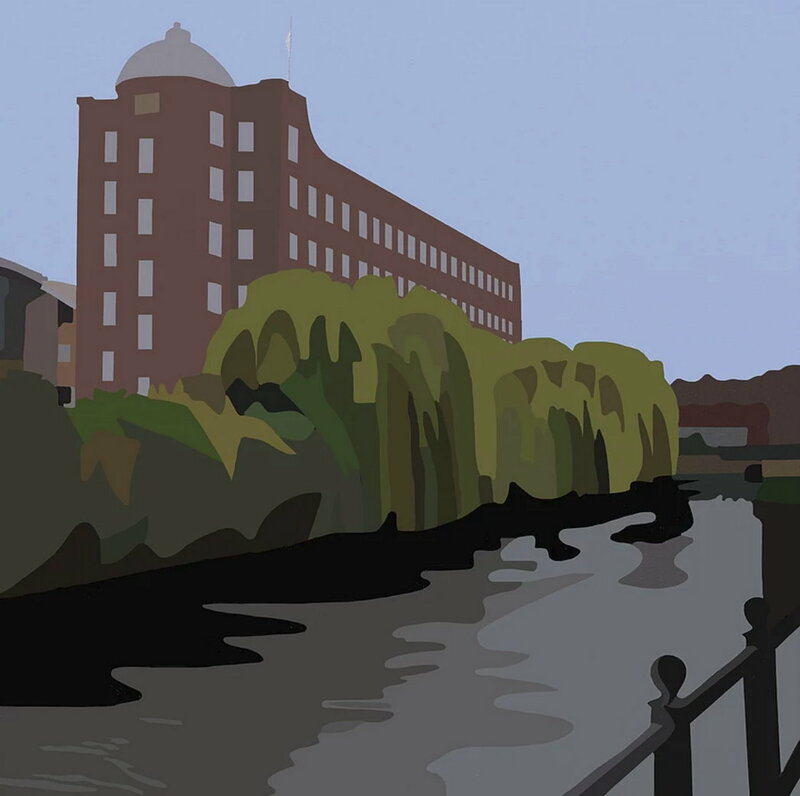 After studying graphics at the London College of Printing, Ken Hurst embarked on brief professional forays into cartography, technical illustration and graphic design before settling on a lifelong career in journalism. In Norwich, he spent over a decade writing for the Eastern Daily Press. Now spending more time with pictures than words, his latest work embraces new age technology, following in the pioneering footsteps of the likes of David Hockney to master the techniques of drawing and painting on the mighty iPad. Working from lightning sketches on location and photographic references in the studio, Ken paints land-, town- and place-scapes that boldly distill what he sees to essential form and colour.